Immerse yourself in the poetic tradition for guidance when facing life’s fierce edges. "In the middle of the road of my life, I awoke in a dark wood, where the true way was wholly lost." When you find yourself without bearings, as Dante Alighieri voiced so well centuries ago, where will you look for guidance? Throughout the ages, teaches David Whyte, the language of poetry has held the power to lend us courage, to give us the vision of those who endured, and to hazard ourselves boldly at the fierce edges of our lives. On Clear Mind, Wild Heart you will join this acclaimed poet and teacher to engage with the poetic imagination as your companion and guide for the difficult terrain we are all traversing. 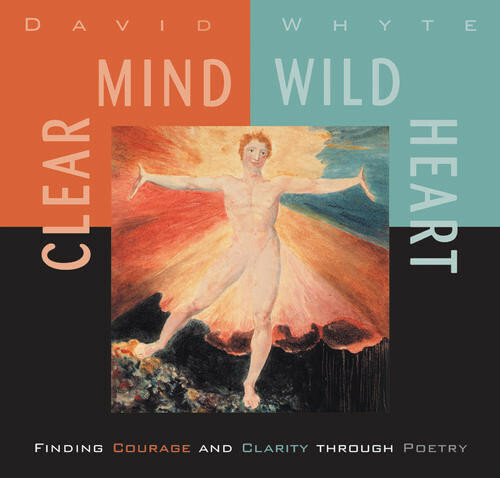 Clear Mind, Wild Heart guides you into the wellspring of this living poetic tradition through six hours of exploration and poetry with David Whyte, including the verses of such inspired voices as Emily Dickinson, William Blake, W.B. Yeats, Marina Tsvetayeva, Rainer Maria Rilke, Antonio Machado, and others. Through their words, you will discover how to apprentice yourself to beauty and find a place of belonging where you can hold loss and grief, the challenges of change, and the wonder of new discovery and adventure. The language of poetry takes us outside of our small selves and calls us to look at ourselves and the world with open eyes, teaches David Whyte. Whether you are a lifelong poetry lover or new to its insights and pleasures, Clear Mind, Wild Heart is an inspiring guide to answering that call. Excellent! Great Wisdom, inspirational poems. Listen to it many times. David Whyte inspired me to be curious with my business/job again. I am more happy, more creative, more productive. I think I have positive feedback from supplier and customers.